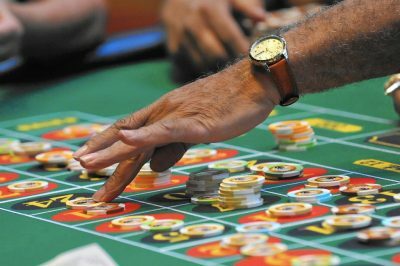 A new bill that would provide mayors with the right to set special gambling regulation for the carnival celebrating the Liberation Day and other similar fairs has faced fierce opposition from the senator who took part in the casino gambling ban roll-out in Guam back in 2017. On Monday, the Vice Speaker Telena Nelson made a statement against Bill 29, which seeks to provide the Mayors’ Council of Guam with the power to establish some rules in terms of games of chance at some community events. It was exactly Nelson who authored the bill which in June 2017 was turned into law to ban such games at carnivals and fairs. The ban closed a previously existing loophole in the territory’s gambling legislation which made it possible for local residents to access casino-style games at certain community events. At the time when the ban was imposed, Nelson called for the local legislators to finally listen to Guam’s voters who had already rejected gambling several times since 2000. Until recently, the games of change generated a considerable part of the revenue for the annual Liberation Fay carnival, so proponents of the games’ addition suggested that they should be added to the territory’s legal offerings at least at the times of such fairs and carnivals. 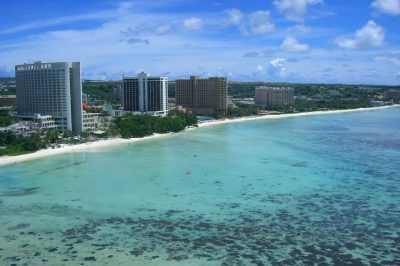 Bill 29 now seeks not to legalize gambling in Guam, but to provide the Mayors’ Council with the opportunity to establish certain regulations for the addition of limited games of chance at such events. The bill is authored by Senators Jose Terlaje, James Moylan, Wil Castro and Joe San Agustin. The introduction of Bill 29 has been made at a time when Guam is preparing to celebrate the 75th anniversary of the island’s liberation from Japanese occupation. As mentioned above, under the provisions of the bill, the mayors’ council would be the one eligible to authorize games of chance throughout the festivities as a source of revenue and to guarantee that the event preserves what is considered “a historic success”. In case that the bill is given the nod and given the nod by local legislators, the council would have to prepare and submit the rules under which games of chance would be permitted to local Legislature within two months. The proposed piece of legislation makes it clear that gambling would not be legalized under the provisions of Bill 29. It would only make it possible for the Mayors’ Council to consider and determine whether limited games of chance could be offered at certain community events such as the Liberation Carnival and the Guam Island Fair. Vice Speaker Nelson, however, opposed the proposed bill, saying that gambling was not found to be the right solution for the local community and added that village projects and programs need more support than they are currently given. Ms. Nelson insisted that Bill 29 should be given no further motion and legislators should take into account the opinions of local voters who have already said they are against gambling.